Always sad to see a vessel in trouble. This one shows a large hole just forard of where it is sitting on the rock. 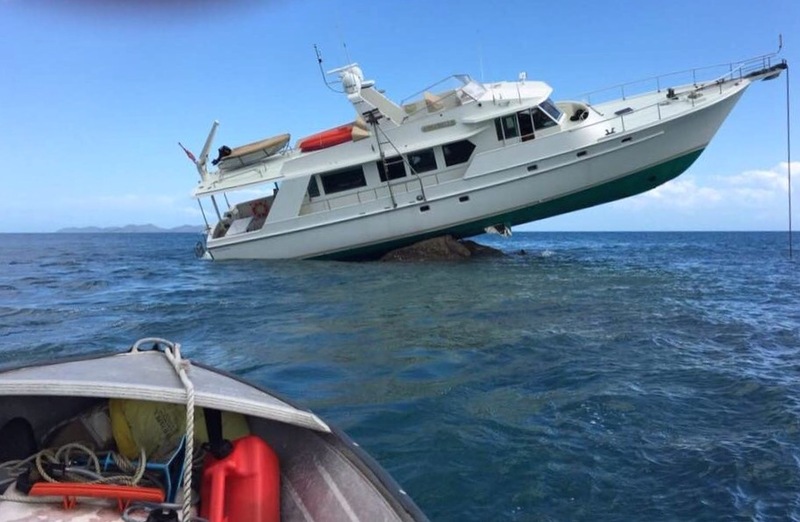 This incident occurred near Shaw Island in the Whitsundays and the rock had a beacon on it before the vessel smashed into it.